Route 1: The first route is to make the crossing to the mainland on car ferry (a 10 minute journey) and then a bus to Krabi, and from Krabi a bus or minivan to Surat Thani, and then a bus to one of the ferry ports in Donsak to catch another ferry to Koh Phangan. 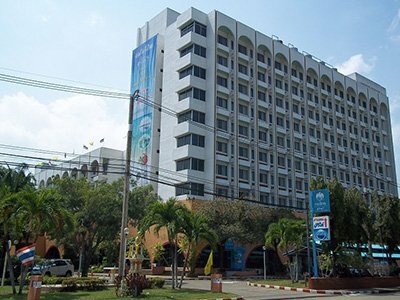 Route 2: The second route is to get a ferry direct from Koh Lanta to Klong Jilard pier, which is near to Krabi Town, and then a bus or minivan to Surat Thani, then another bus to Donsak to board one of the 4 different ferry services from Donsak to Koh Phangan. 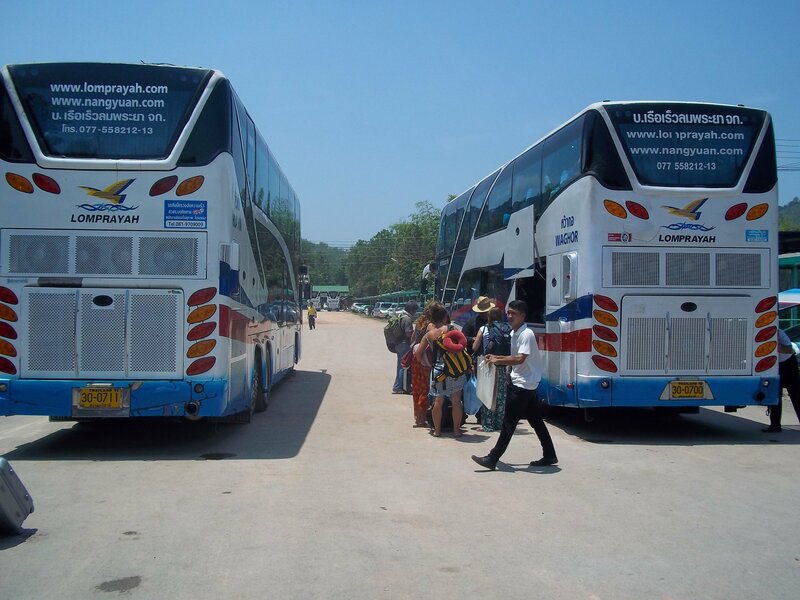 Direct Services: Both routes can be travelled much more quickly if you book a joint ferry and bus service with the same travel operator who take you all the way from Koh Lanta to Koh Phangan which is quicker because of the shorter connection times transferring between ferry and bus services on route. Passengers on the Seatran Discovery Service start their journey from the main pier in Koh Lanta Yai, which is called Saladan Pier. 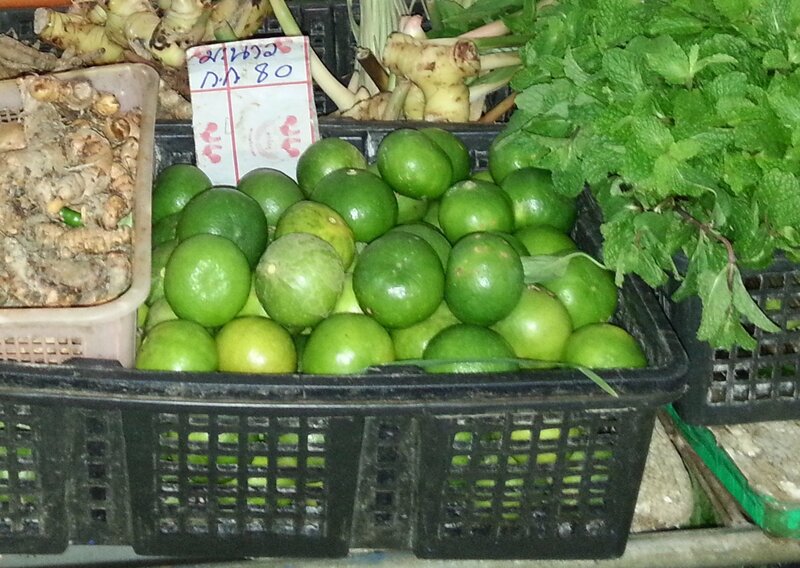 Songserm has a choice of two pick up points: Khlong Khong and Klong Nin Beach. Use the Search Box below to find tickets on the direct services from Koh Lanta to Koh Phangan. Booking in Advance: You need to book in advance if you plan to travel in the period up to 5 days before the monthly Full Moon Party in Koh Phangan as the demand for tickets is much greater at times, particularly during high season. The two direct daily joint ferry and bus services from Koh Lanta to Koh Phangan travel slightly different routes and use different ferries. They all, however, arrive in the same place which is Koh Phangan Ferry Port in the town of Thong Sala. 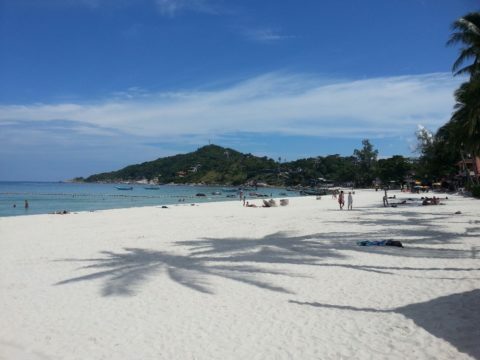 Beach in Haad Rin where the Full Moon Party happens every month. Route: Minivan transfer to the car ferry from Koh Lanta Noi to Hua Hin Pier on the mainland, minivan to Krabi, bus to Donsak Ferry Pier and passenger ferry to Koh Phangan. Route: Ferry journey to Klong Jilard Pier near Krabi , minivan transfer to Krabi Town, then a bus to Donsak Seatran Ferry Pier, and finally a ferry to Koh Phangan. All direct services from Koh Lanta to Koh Phangan arrive at Koh Phangan Ferry Port in Thong Sala. From there passengers need to take local transport to their final destination.